For any and all scholarships you must apply for Startup Ignition first, get accepted, and pay the tuition deposit. After those actions have taken place you can then apply for a Startup Ignition scholarship. If you are selected, you will pay the tuition balance and then receive the scholarship from the correlating partner. Regardless of any pending scholarships, the full tuition amount is still due by the beginning of the first class session. Apply for Cohort 5 of Startup Ignition. The application process to Startup Ignition (not for the scholarship) includes a form, a phone interview, and decision from Startup Ignition. Not all applicants are accepted. Once you are accepted to Cohort 5 of Startup Ignition and have paid your deposit, you may apply for the scholarship. Submit your scholarship application by Sept 19. 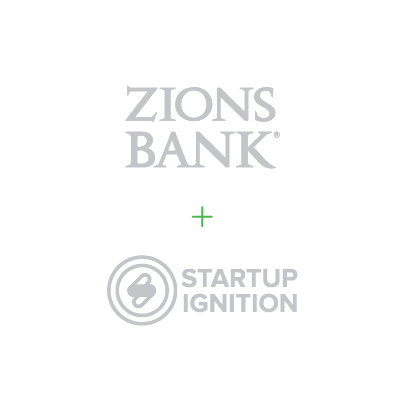 Zions Bank will make its selection and notify recipients.